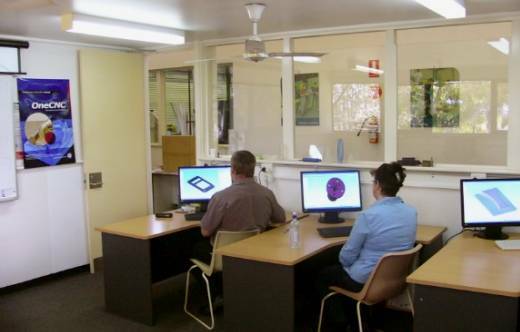 Partec (Qld) Pty Ltd, located in Brisbane, Australia is the Plastic and Rubber Technologies education centre. This picture shows the design/programming room. Partec has some of the the highest quality and most modern equipment available for training in its field including 5 axis machining centers. This picture below is shows part of the main training workshop. Toolmaking is just one of the many popular training subjects at Partec. There are approx 35 apprentices at any one time studying ‘Toolmaking’, being trained using the best CAD/CAM software and on the best machines with the best cutters. This combination helps to make teaching easier, therefore increasing the student’s confidence to be able to complete the most difficult jobs with ease. Partec’s philosophy is to use leaders from Industry to teach students what industry wants. Partec must be doing something right, not only have I had the pleasure of training "The Apprentice of the Year for Queensland for 2007", but also "The Apprentice of the Year for Australia for 2008 and 2009". This picture below shows 3 students in discussion with Instructor Colin Gossip (left). What I can say about OneCNC, is that while it is fantastic for use in industry – it excels as a powerful teaching tool as well. I have used OneCNC for over 9 years now, and now I am teaching with time to research other products. I have used a wide range of software, and so far, nothing can match OneCNC. Today, with new cutter coatings and learning how high speed machining/toolpathing and 5 axis machining, jobs are being achieved in less time and with a much higher quality. It’s a great pleasure to pass this knowledge along to the young – our apprentices. OneCNC has a dedication to education. Our dedication continually provides teacher training and educator support to universities and colleges. OneCNC has years of experience in the educational market and that helps us understand the needs for training. OneCNC is a popular CAD CAM product throughout the world in many languages which means that the products for teaching are industry proven. 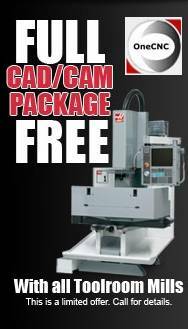 OneCNC UK are pleased to announce that Haas UK have chosen the OneCNC CAD/CAM package to be supplied with all their Haas tool-room mills. 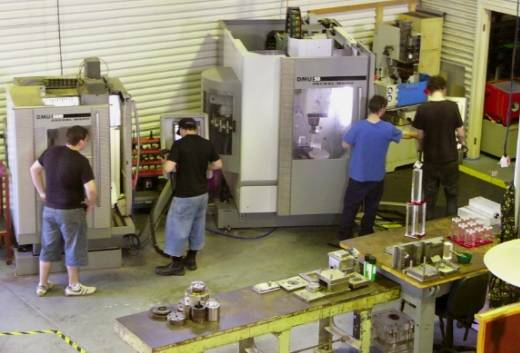 Haas UK recognise that the majority of companies no matter what brand of CNC Machine they purchase, have to invest in a CAD/CAM system sooner or later. They also know, most CAD-CAM systems are very expensive and can be difficult to use. By providing them with OneCNC, which is easy to use, very powerful and has no yearly maintenance charges, this will save their customers a further investment of time and money in the future. This video is a demonstration of how efficiently your Haas VMC CNC machine can be loaded with MA Ford tool and programmed with OneCNC HS toolpaths.